The Derwent River flowed on my left when I headed southwards to Pearsons Point, and on my right when I returned northwards to Blackmans Bay. 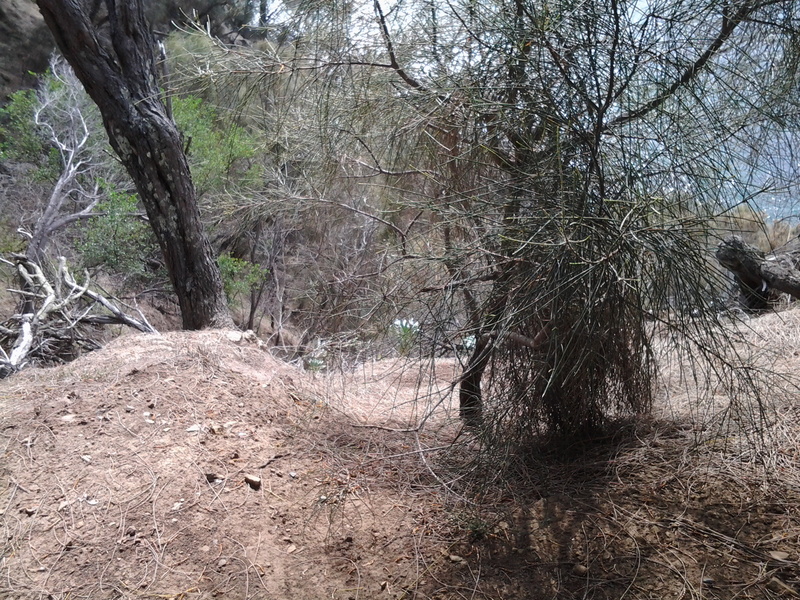 From time to time, surprised wallabies crashed away through the bush. I never knew whether I was more surprised than the wallaby. I watched wild hens roaming cleared paddocks. I listened to all manner of froggy sounds emanating from dammed creeks. The occasional cyclist, with tyres whispering along the gravelled bitumen, passed me unexpectedly. These road bikes were always ridden by women and we exchanged brief hellos. A few vineyards under netting were located on hill sides without afternoon sun – what does that do to the flavour of wine? Okay – all the sommeliers and expert wine tasters out there. What sort of wine would you expect to be produced in a cool winter and warm summer climate with the grapes mostly only seeing the morning sun in the summer? Google maps show the ‘street view’ of one vineyard at Bellendena: https://www.google.com.au/maps/place/Bellendena/@-43.037425,147.335291,3a,75y,13.59h,90t/data=!3m4!1e1!3m2!1sGy5X1ubwdRkyt-93Gur9Sw!2e0!4m7!1m4!3m3!1s0xaa6dd119e082ab39:0x68f8df55775fb029!2sTinderbox+Rd+W,+Tinderbox+TAS+7054!3b1!3m1!1s0x0000000000000000:0xce060676af8374e9!6m1!1e1?hl=en I hope you look at this street view and swivel around so you can see the terrain and can appreciate the beautiful country through which I walked. 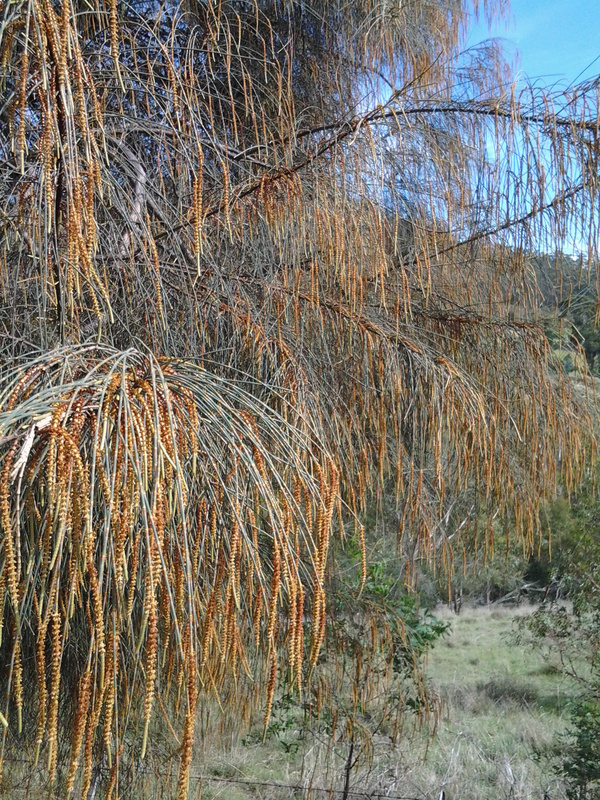 One of the highlights of my walk was seeing casuarina trees ‘weeping’ with the weight of their strands of blooms. Seemingly so delicate. 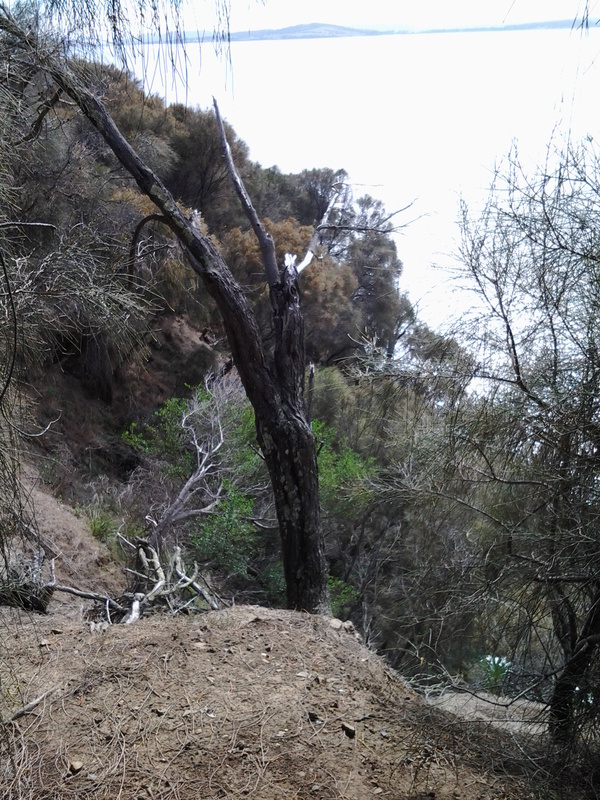 This entry was posted in Derwent River, Tasmania, Walking and tagged Bellendena, Blackmans Bay, Casuarina, Day Spa and Retreat, Fossil Cove, Hidden Cove, Pearson's Point, vineyards, wallabies, wild hens, wine on March 2, 2015 by Tasmanian traveller. loved looking at your view from the google maps link, what a great idea! Thankyou…. 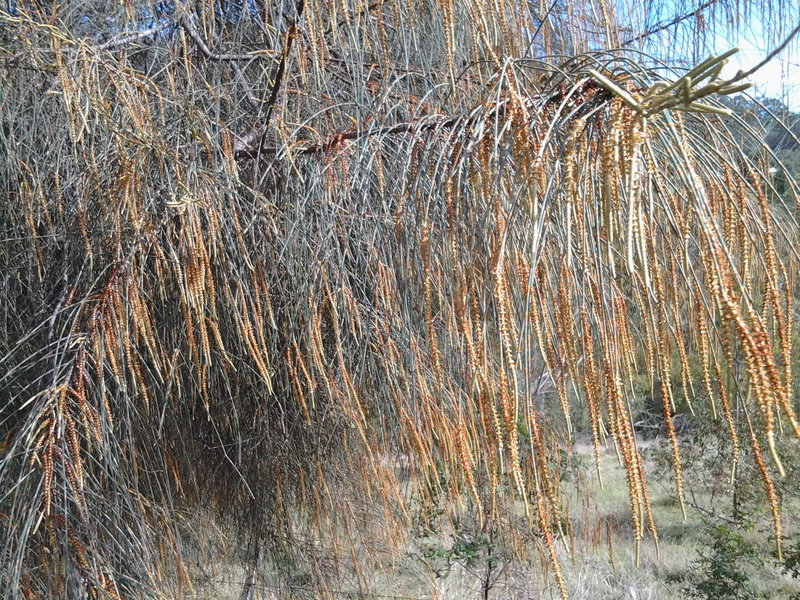 and the casurarina trees…. beautiful – you really should get that foot massage! why not? The country is so beautiful in that Google maps view. Looked better that day than when I was there, or so it seems.